Work hard enough and it’s time to launch your product. You are dreaming to make a huge profit and wondering to get a great response from the date of your product’s launch. You think it’s all set, right. Wait a minute, but what about the promotion of your product? You have thrown some ads on social media sites, spend a lot of money on paid ads and invited your Mayor on your product’s launching date. Is it enough? The promotion tactics of a product have been completely changed over these years. You have to try something new or even you can’t manage to do something new you have to increase the scale of promotion. But what it means really? Simply it doesn’t mean to spend all your money on paid advertising. Go with the smarter ways of promotion which are less expensive and will provide the bigger platform for your product. First of all, make sure to choose the source of promotion. Whether you want to promote your product online or offline, make strategies and go for it. The best way to promote your product is to promote it on both the online and offline platforms. For Offline your best idea is to get your product in as many big stores and brands as possible. For online though, there’s plenty more things you can do. The best and tested way to promote any product is to promote it twice, first before the launch of the product and second after the product’s launch. But how you can promote your product before launching it? There are many ways to promote your product before its launch and here in this post I have mentioned few of them. After the product’s launch, its promotions become necessary otherwise you can’t achieve the expected results. If you want to create a huge customer community for your product you have to work a lot. Never compromise with your product’s quality, make effort to provide a valuable product to your targeted audience and off-course always try to build a bigger customer community. 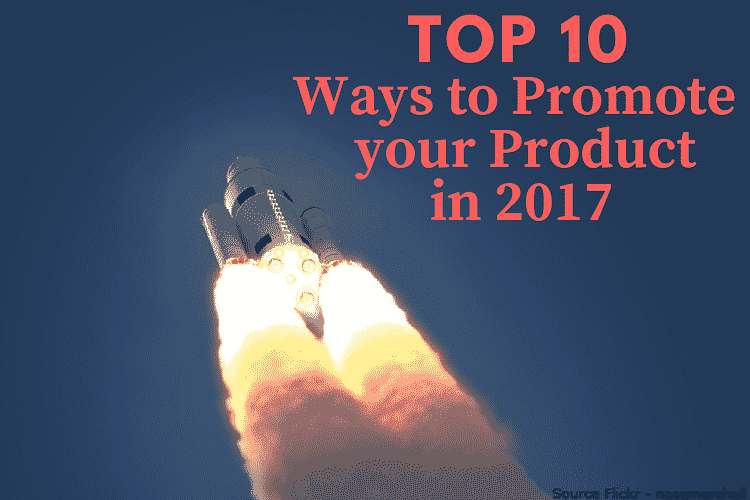 Let’s dig this valuable list of top 10 ways to promote your product in 2017. If you are looking for its definition here it is,” crowdfunding is a practice or process of raising fund for a venture or a project from a larger community especially through internet”. But crowdfunding campaigns are more than raising fund for any project. Crowdfunding is very effective for small businesses. Resource and support, these are the keys to any project success and crowdfunding provides both. Crowdfunding provides a resource, attention, more audience and bigger launching platform for your product. But managing a successful crowdfunding campaign is almost impossible unless you are a celebrity. Why will people hear you and how can you grab more attention? What are the ways to achieve expected success via crowdfunding? Yes, there are ways and there are multiple of them. 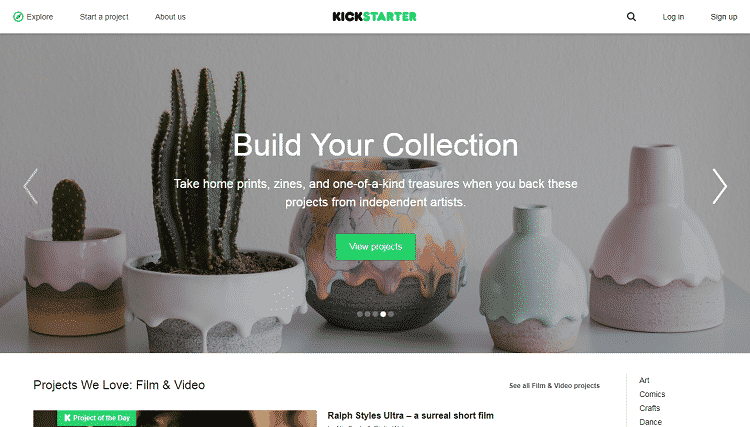 Kickstarter.com, RocketHub.com, Indiegogo.com are such big names in the world of reliable crowdfunding platforms. There are also other crowdfunding platforms available like MedStartr.com, Barnraiser.com, and Patreon.com. It is the most common and effective way of promoting any product or service. You can target your local audience spending much recourse. If you are new to the market then you must focus on promoting your product on a local scale. You can use many promotion platforms for your product’s press release including newspapers, TV and radio stations. The press release is one of the best ways to promote your product offline. People spend hours on other media sources and through an effective press release, you can engage with them very easily. If local people find your product useful you will be benefited from the mouth advertisement too. Throwing a press release on newspaper may provide your product an online platform too. Many newspapers are having their website and online ePaper. In this way, your product’s promotion will be fruitful just because of an effective press release. READ Should we outsource tasks when running a small business? Offline promotion is great but what about promoting your product online through a press release? There are 100+ top websites available online where you can submit your press release including npr.org, prnewswire.com, mashable.com, highwire.org etc. 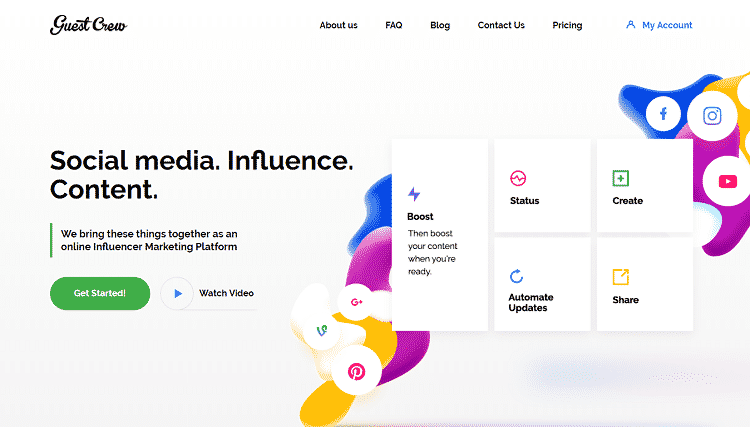 If you are looking for a big platform to promote your innovative startup online, Betalist will be best for doing this. If you are new to this promotional platform you must Google it and dig out its outstanding promotional strategies. Multiple startups are submitted daily on this promotional platform. It is one of the easiest ways to reach a bigger audience and also get feedbacks from them. Betalist helps you in engaging with like-minded people and tech enthusiasts. If you are promoting any service, product, apps or content on Betalist, the chances are very high of getting a positive response from the targeted audience. 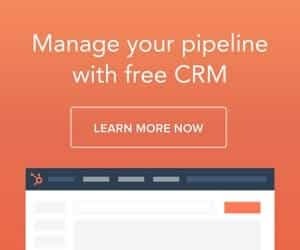 Betalist comes with both free and premium options. Thus it is great for those not having enough budgets for their product’s promotion and those who can spend money on its premium version too. I have recommended few alternatives of Betalist here and hope this small list will help you in promoting your product. Those alternatives are Betapage, Get Worm, SignUpFirst.com, GrowBeta etc. Have you ever tried a coming soon page for your product promotion before? If not, you can’t imagine what you have missed. 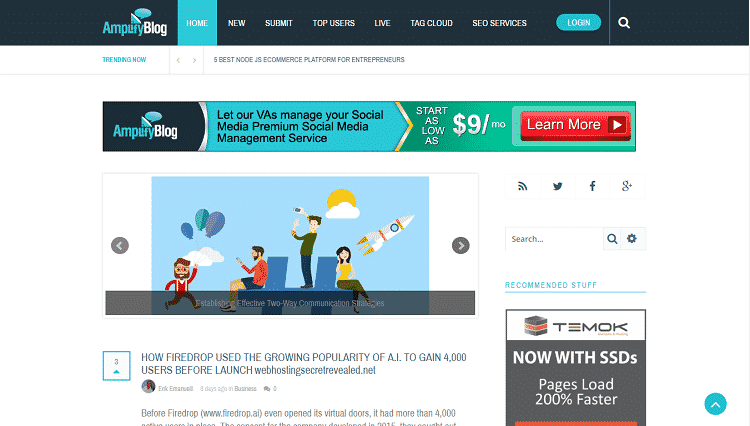 A coming soon page is one of the top killer strategies for promoting a product or service. You can start a coming soon page on various media platforms to create great anticipation. Anticipation is king in the movie business and it will work great for your business too. The 2 or 3 minutes of film trailer or preview makes the audience check out the whole movie. A coming soon page works same for your product and will surely boost marketing after product’s launch. 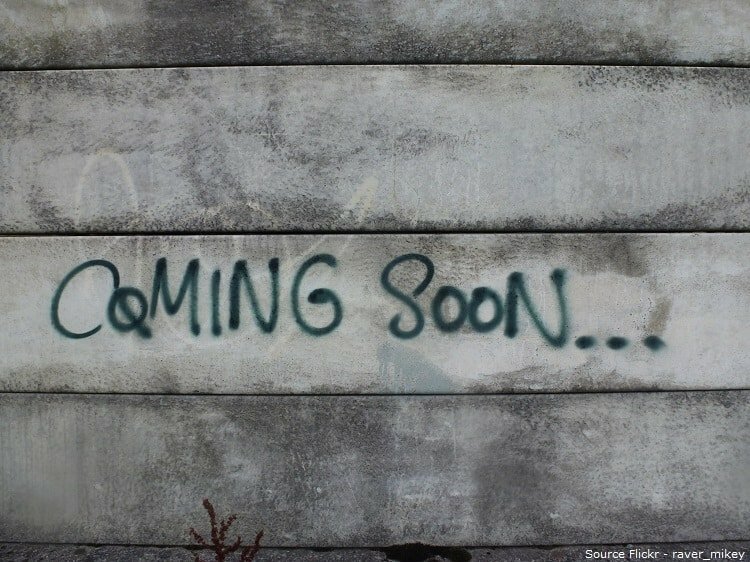 If you running a blog and providing quality content to your audience, a coming soon page of your product can turn them into customers. But how to create a killer and effective coming soon page? Here I have listed few points to make an effective coming soon page to promote a product. #Compelling Visual – Infographics are effective and are best to create great attention. Thus including a compelling relevant visual to your coming soon page will catch more attention of your audience. #Build Relationship and Excitement – Before providing a coming soon page must make efforts to build a relationship with your visitors if you have a blog. A better relationship will help you in creating great anticipation. 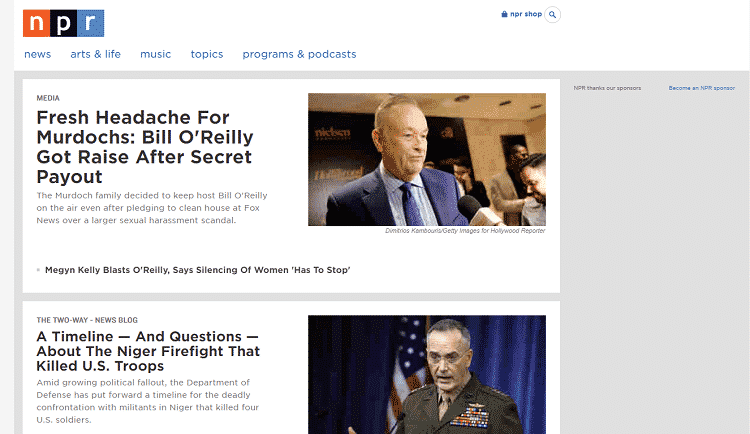 #Compelling Headlines – Make efforts to throw a compelling headline to your coming soon page. Don’t add long details of your product in you coming soon page. This will turn off your visitors. #Create Anticipation and Must Provide Valuable Product – You can create great anticipation with a compelling coming soon page but don’t forget to provide a valuable product to your customers. If customers will not find your product useful then they will not give enough response to your next products. 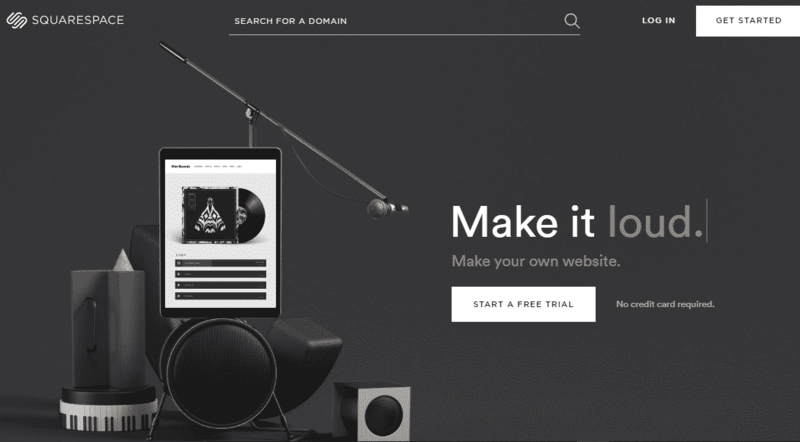 Almost every eCommerce website has its own blog. Providing quality content through blogs is one of the best ways to engage with like-minded people. Blogs help you in making a great online presence. 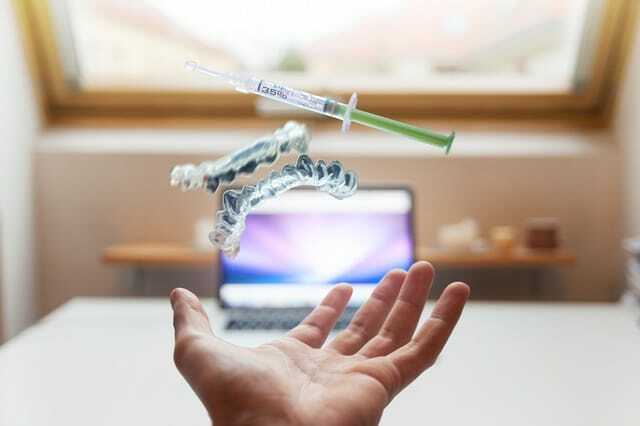 Blogs not only help you engaging with people, it also helps you connecting with people of your industry. Blogs are one of the best sources to turn your visitors into customers. 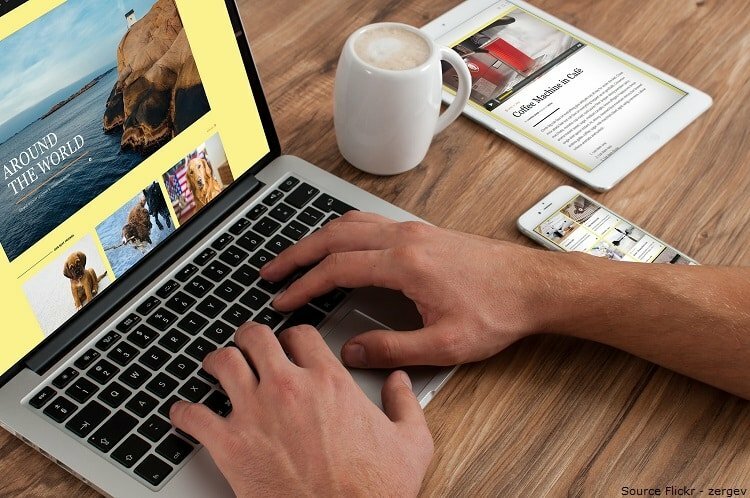 You can create great influence and stand your site as a brand through blogging. Blogging is a great weapon in creating your image online. The best part of blogging is it is your own platform where you can express yourself. 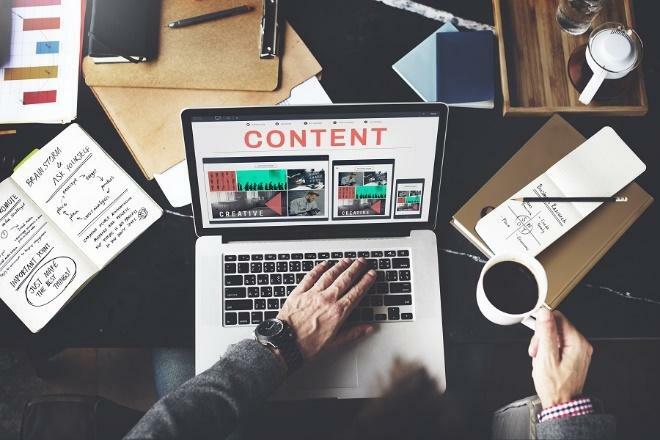 You can create content and provide them to your audience. You are free to make strategies in offering your opinions to your targeted audience. Always make efforts to give a ‘voice’ to your blog. Focus on driving more traffic to your blog, bigger audience community will provide bigger customer community. If visitors will find your blogs useful, it will be easy to turn them into customers. Blogging is deep enough and defining it into few points is not easy. But here I have listed few must-have elements in making a blog capable of driving more traffic. Spreading your idea using any Crowd Speaking platform will be a great idea. In this internet era, connecting with new people has been easy enough. Crowd Speaking helps you to reach new people? The answer is yes and there are multiple platforms available where you can spread your idea. If you are ready to launch your product or service and want to promote it online, these crowd speaking sites will be great for doing this. Use these platforms to run your product promotion campaigns and shout louder with your message. These platforms work on a simple algorithm. Your message will be automatically get shared on social media sites whenever the deadline of your campaign ended. Some platforms like PRForge.com allows its members to create groups based on their common interest. If any group member posts anything in his group, automatically all the other group members re-shares that message on their social media sites. Other platforms like GuestCrew and Thunderclap are best to spread your ideas online. These platforms are best for running social campaigns which provide great visibility and exposure to your message. You will find tons of platforms to promote your product but choosing a right one may be difficult. Make effort to choose those communities based social platforms which are capable in providing expected results. Some of the top social sites such as Inbound.org, Growth Hacker, AmplifyBlog are best for amplifying or message. Submit your work on these social sites and get a great response from the community members. You can easily join these social sites using your social media sites. As an example, you can join Inbound using your twitter account. You can submit your content to drive more traffic to your blog and engage with the professionals. Some of these social sites have strict terms and conditions for content submissions. You may be banned if they find any violations regarding their content submission guidelines. Thus always read their content submission guidelines carefully and amplify your message to get best results. 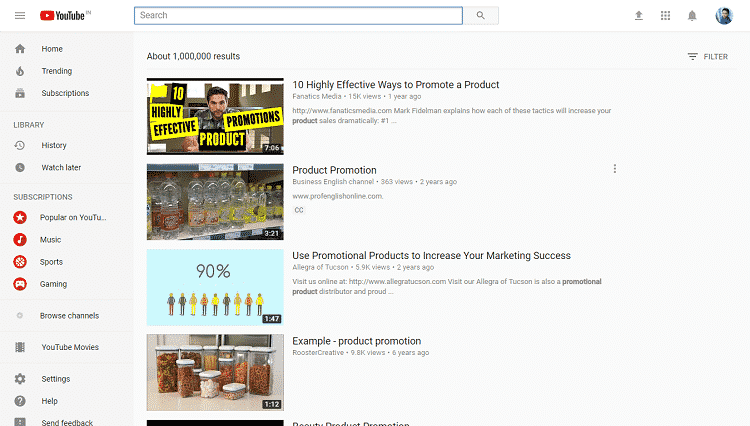 If you want to leverage your promotional campaign you must try ProductHunt.com if you haven’t tried it before. It is one of the best sites to share innovative ideas, websites, mobile apps, tech creations, and hardware project. This platform will help you in engaging with tech enthusiasts, tech-loving geeks, and top professionals. 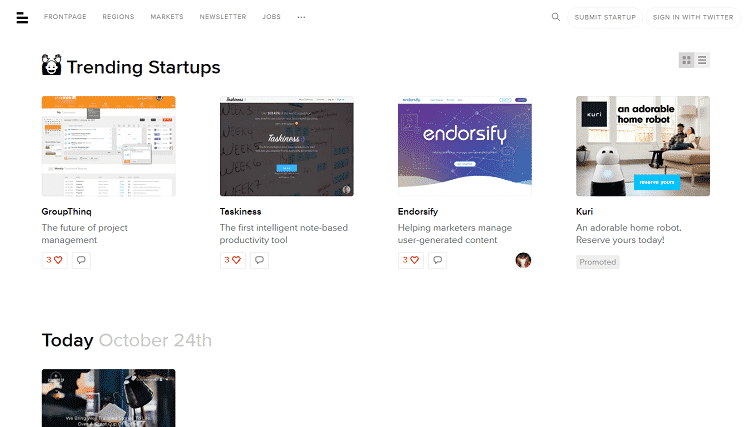 ProductHunt website lets its users to discover and share new applications and products. ProductHunt comes with a voting system which can make your submission viral. If you submit quality product (surely you will) you will get a great response from the community members and the followers. 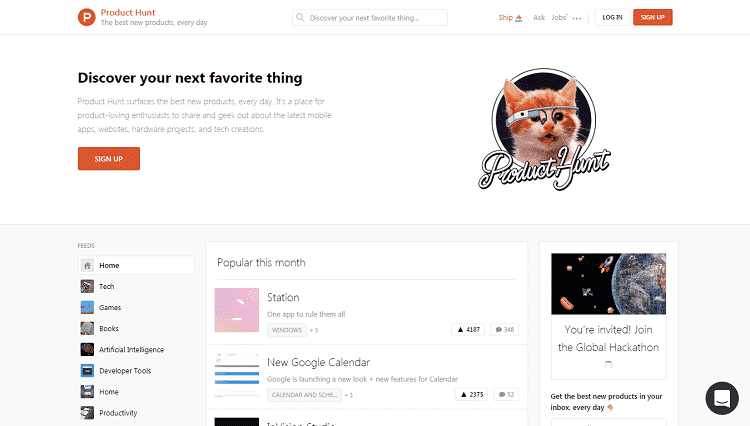 ProductHunt submission is categorized in four groups including technology products, games, podcasts, and books. All members of this platform can submit their product. Submitting content is very easy; you just have to provide the product title, tagline, and URL. You will get updated with the top tech product’s list through email. You can use this product submission platform on any OS device. It is available on Apple, Windows and Android devices. Angel.co is basically a platform where entrepreneurs meet investors. This platform provides a bigger market for your deal. You will get enough exposure and visibility online through this platform. If you have a startup and looking for the investors, this platform will help you a lot. AngelList provides the mobility to connect with the investors no matter if you are new to your industry or a professional. You can connect with the investors with just a few steps pointed below. #Firsty you need to create your startup profile and select investors whom you like to show your startup. As a beginner, you can start with zero investors if your startup profile is not ready. You are free to update your profile later. #Inverstors of AngelList get 10 to 20 new startup update on their feed list every day. Many investors have some favorite list of startups in their pouch too. Thus as a beginner, you may face few difficulties to make your startup visible. 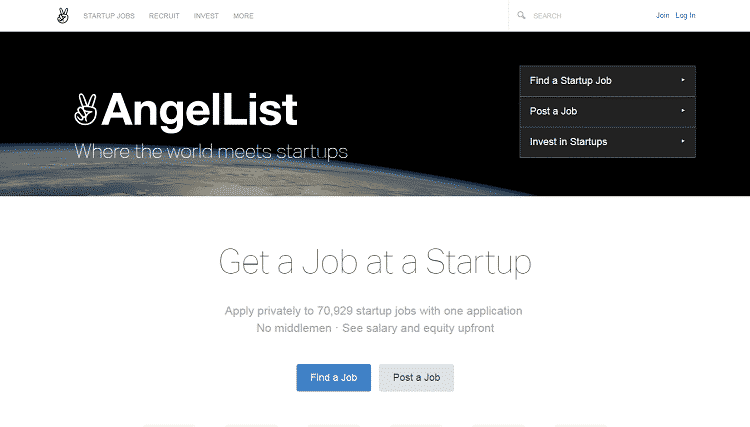 AngelList comes with a better solution for this problem. The team members review every startup and if they find your startup useful they will mail it to the investors. If your startup gets the recommendation by the team member, investors will pay more attention. #Now you may think about the time it takes to get a response from the investors. You will get feedbacks just within few days. #If you are currently working on your startup and want to promote it on AngelList, you can start with choosing zero investors with a “currently working on the startup” note for the admins. #Lastly one more important point, the rules of submitting startup may vary because AngelList has been changed a lot from the date of launch. Social Media is the newest and easiest way of communication. You can connect with a people living on the opposite side of the globe. Any online marketer can’t imagine its marketing campaign without social media. You can boost your marketing campaigns using social media. You will notice instant and enormous growth in your product’s promotion scale. 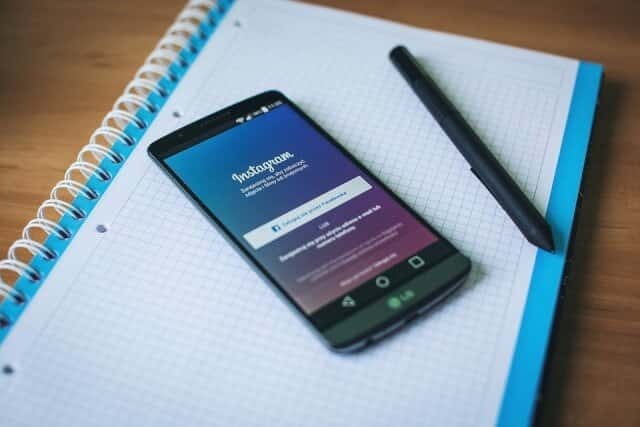 There are more than 20 most popular social media sites available where you can promote your product and reach a bigger audience with less effort. You can create your particular page on various social media sites. It is one of the easiest ways of marketing through social media. You will get the best response on Facebook, Twitter, Instagram and YouTube and other social media sites. It is almost impossible to reach a bigger audience without social media sites. After launching your product you have to promote it. There are ways available in which you can promote your product before and after launching. You can promote it both online and offline. But if you haven’t done a promotional campaign before you must do some research about promotional strategies. Don’t only rely on a paid advertisement for promoting your product; it will cost you a lot. Your promotional campaign can achieve best results with applying these strategies mentioned above. Hope this list will be beneficial for you and guide you in your promotional campaigns.